When I was a teenager, I loved Chinese New Year. Beside getting the red envelope and savoring plenty of good foods, I especially enjoyed time spending with friends, hopping from one house to another, and going to the cinema for Chinese New Year movies. This must be an unique tradition in the Chinese movie markets I guess, as I don't think they do the same thing during Christmas or Deepavali. The movies do not necessary linked to anything CNY, but normally at the end of the film, the actors and actress would reappear on the screen and express their blessing to the audiences. There are 8 movies on the list during CNY this year. My favorite is Triumps in The Skies. 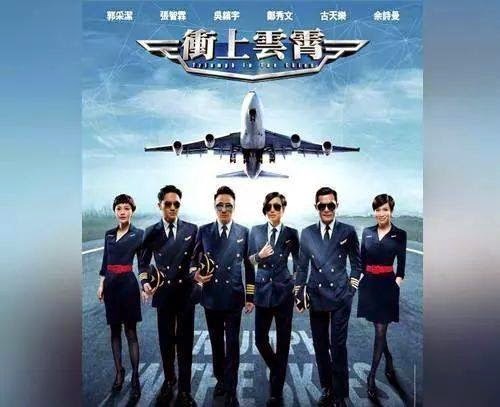 I watched this drama series years back and I really love Francis Ng (吴镇宇). 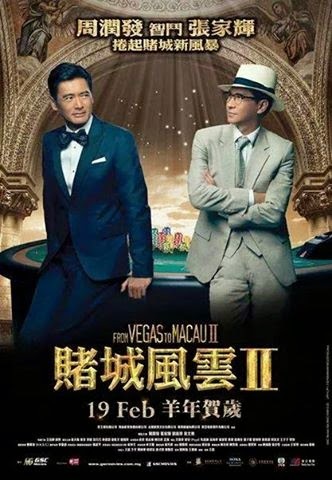 If I were in Malaysia, I would probably go watch From Vegas to Macau II since it is starring by Chow Yun-Fat. 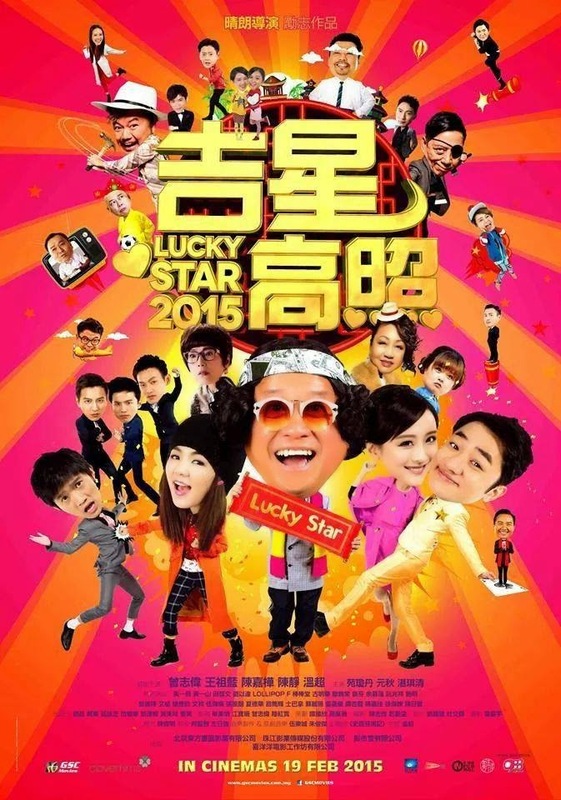 Lucky Star 2015, a typical CNY theme movie (Hong Kong), I would go for it if I long for good laugh. The King of Mahjong is directed by a Malaysian, with a Singaporean actor pairing with some Hong Kong stars. I would go to support the Malaysian/Singaporean film industry. Even though the market is limited, Malaysian/Singaporean films are blooming, they have joined the CNY market a while back. Another CNY theme movie with a Singaporean actor. Franckly I don't like Jackie Chan's movie, too much actions, I think it is more appealing to the men audiences. His films are always the big hit during CNY. Sandra Ng becomes a man? Worth watching. 12 Golden Ducks. 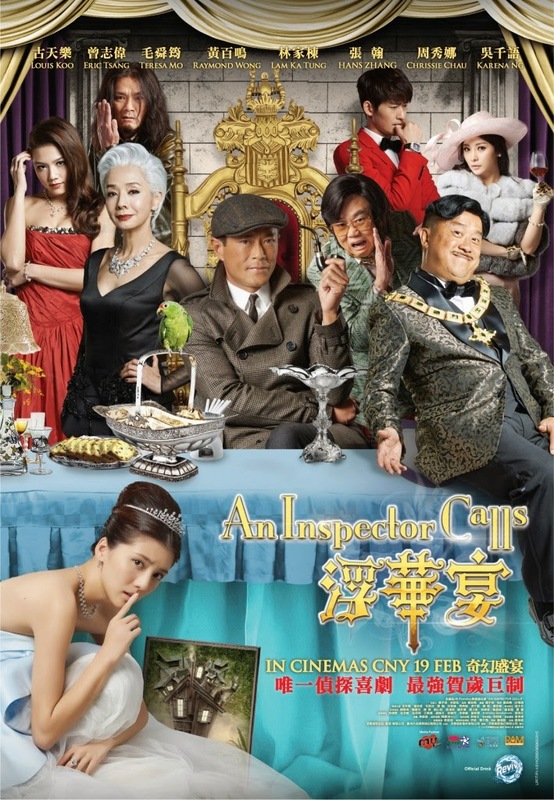 Another Hong Kong theme CNY movie. These firms are not aired in France, I would rely on the internet if I want to watch them. How about you? 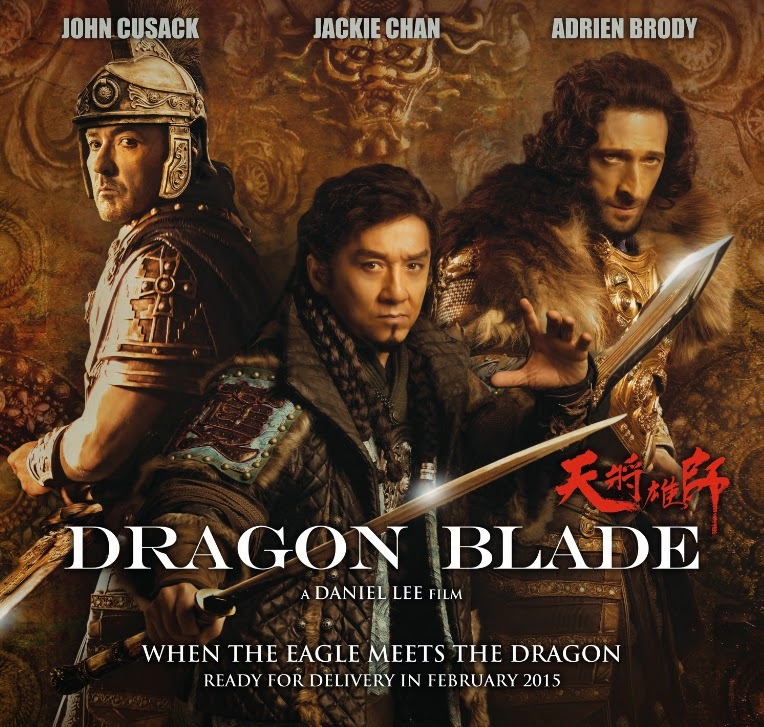 Have you watched at least one CNY movie since the first day of CNY? This year kind of disappointing with CNY movies as I not managed to find a movie which attracted me to enter cinema. Last year, Kevin and I really enjoyed the local made movie 一路有你。 The director fully understand M'sia beauty and culture diversity. Below is the theme song, nice. Thanks Eng Sim. "Going home" is one of my all times favorite songs. I have heard about this movie but didn't get a chance to watch it. Just watched the trailer, I think I will watch with my husband, it would certainly remind him some of the moments he had in Malaysia. No, I do not have this tradition of watching new CNY movies during CNY. When I was young, I just watch whatever old chinese movies that were aired on RTM1 and RTM2.